We had some company stop in unexpectedly so I went to the freezer and popped in a few things I had stocked up before hand. It made last minute entertaining super easy because it required no prep work and everyone was excited and impressed at the variety of snack foods we had to share. 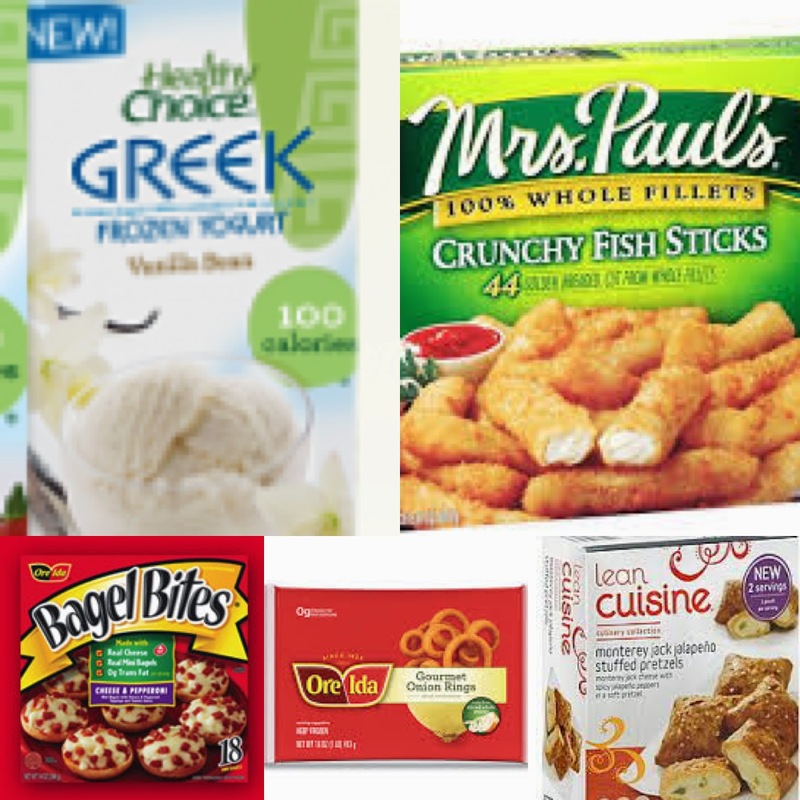 I just pulled out some Ore Ida Onion Rings, Lean Cuisine Monterey Jack Jalapeno Stuffed Pretzels, Bagel Bites, Healthy Choice Greek Frozen Yogurt and Mrs Paul's Crunchy Fish Sticks. Within half an hour my friends were impressed and excited and my tummy was just as happy. Frozen. How Fresh Stays Fresh Freezing naturally pauses inspired recipes made with fresh, quality ingredients and suspends them there until the moment you’re ready to enjoy them, locking in freshness, flavor and nutrients. I love it because I love to be spontaneous and one of the benefits of frozen foods is that it takes out all of the prep work. Fresh is fantastic, but when I am on a time limit, when deciding between fresh vs frozen, frozen definitely makes life easier. Frozen food is made from real recipes and real ingredients. Freezing is simply a natural pause button that keeps just picked, just baked and just crafted foods at the peak of freshness. I love to keep both my freezers stocked for those last-minute meals or parties that still impress. I can serve a variety of food with very little work, pleasing all my guests and keeping me free to entertain instead of slave over the stove. My late grandma, who was one of my best friends when she was alive, told me a story once before she died. She grew up in a tiny farming town in southeastern Idaho and when she was in grade school she once won a handwriting contest. Her prize was her very own bottle of Listerine. She told me this story well into her 80s and still had the certificate she received for winning. She told me ever since then she had loved Listerine and used it frequently. It's one of my favorite stories that my Grandma told and since I have bought many a bottle of Listerine, which makes me think of her every time I use it. I love how clean and fresh it makes my mouth feel. The only problem is that once it is tucked into a cabinet in the bathroom I often forget to use it. 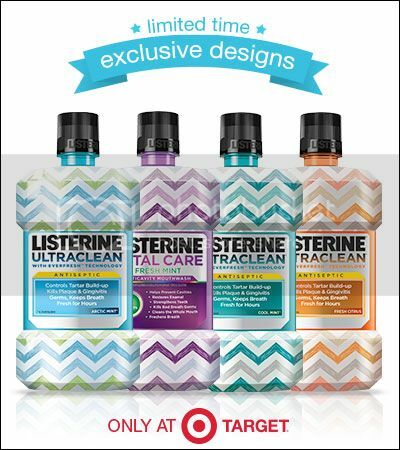 That is one reason I was so excited to see that for a limited time Listerine is offering bottles in a cute chevron print! 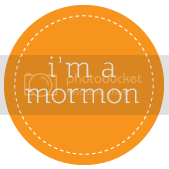 Now I can encorporate this fun design into my bathroom decor and leave it right on the counter, which will make it much easier to remember to use. 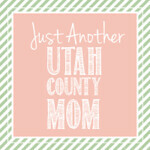 This new chevron-print design is offered in four flavors: Cool Mint, Fresh Mint, Arctic Mint & Fresh Citrus. (Fresh Mint is my personal favorite,) Did you know Listerine is the #1 dentist recommended brand and gives you a cleaner healthier mouth? It's only offered for a limited time and exclusive at Target! Save Now with Target Cartwheel and get yours today!